One Million Plastics Bottles Are Used Every Minute…But Not Here! As one of the first U.S. Green Building Council LEED® Certified hotels in Central California, here at the Portola Hotel & Spa, we are proud to announce the adoption of yet another progressive, green initiative. As we constantly research and pursue innovative, sustainable and eco-friendly products, philosophies and programs to not only help our property operate more efficiently but reduce our carbon footprint we have recently said goodbye to plastic (#byebyeplastic)! 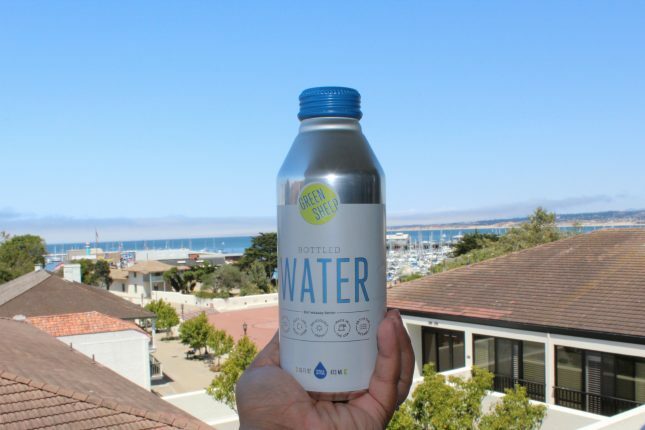 With the launch of the #byebyeplastic initiative we have introduced an infinitely recyclable water bottle alternative to encourage an ocean-friendly way of reducing the use of plastic at the Portola – Green Sheep Water. 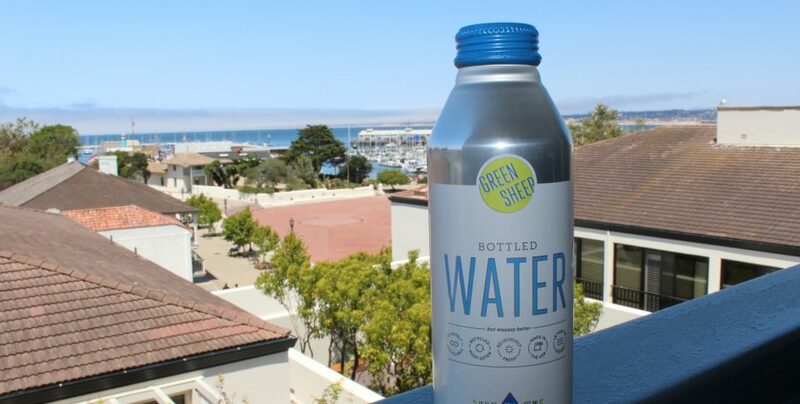 Green Sheep Water features 100% recyclable aluminum in the design of their re-closable Alumi-tek bottles, as well as their 12-ounce cans, keeping plastic out of landfills and oceans. Green Sheep Water is now available in our guest rooms for $5 a bottle. If opened, a charge is billed to the room and for the convenience of our guests, Portola Hotel staff will replenish supplies daily. Millions of un-recycled bottles end up in the ocean, polluting the water and threatening sea life including places like our own, Monterey Bay National Marine Sanctuary. If further calls to action are not executed soon, by 2050 there will be more plastic water bottles than fish in the ocean. Together – with simple efforts and initiatives like #byebyeplastic, we can collaborate to save our oceans.